Greek islands are amazing and that is a fact! But if you want to enjoy your vacations to the fullest you should now more facts and tips than that. Whether you are doing island hopping as a backpacker, travelling as an adventurous solo traveler, as a couple or travelling with a family, advices, tips, facts and opinions are always needed. When you want to make decisions for your perfect vacations there many things you probably worry about and that is why you need the help of an expert! Which Greek Island is the best for me? If you are coming to Greece for many days, the perfect solution would be to do island hopping. In that way you will have the opportunity to visit many islands. If you want to visit only one island during your vacations, you must be more careful, understand what you want and most importantly know what to expect. Which Greek Island is the best for partying? Mykonos: Partying never ends at this island, that has a nightlife like the famous party island “Ibiza”. Famous DJs and singers perform almost every night at Mykonos. You should also bear in mind that Mykonos is one of the most expensive Greek islands. Ios: The lesser known island of Cyclades Ios is very close to Mykonos, Naxos and Paros. Ios is the island where the day becomes night and the night day, as many students and young people visit it solely to party every day. In terms of budget Ios is much less expensive than Mykonos. Skiathos: The famous Island of “Mama Mia” belongs to Sporades and attracts people from all over the world every summer for the beautiful sceneries and the unforgettable nightlife. Zakynthos: This island of the Ionian Sea is very famous for the endangered sea turtle “Caretta Caretta” and for its amazing nightlife. Zakynthos offers many nightlife options, such as elegant bars, huge clubs and live performances. Which Greek Island is the best for families? Naxos: One of the most beautiful islands of the Cyclades located in the middle of the Aegean Sea. Naxos has great sandy beaches and a lot of places for parents to relax and kids to play as much as they want. It also has many beautiful villages (especially at the northern part of the island) ideal for family excursions. Rhodes: One of the biggest islands of Greece located approximately 200 nautical miles from Greek mainland. Rhodes has a beautiful town, great for walks and riding bicycles. There are many activities you can do with your family such as a visit at the aquarium or a walk at the old fortress. Most of the beaches are sandy and not at all deep. Which Greek Island is the best for honeymoon? Santorini: Probably the most romantic Greek island. It is a dream come true for many new couples to travel at Santorini and admire the wonderful sunset at Caldera. Amorgos: The island where the movie Le Grande Bleu (The Big Blue) was shooted is ideal for young couples who want to explore and have fun without crowds of tourists. Paxoi: On of the most beautiful Greek islands! The sea is turquoise, the sun is shining bright and there are plenty of options for excursions and island hopping to Antipaxoi, Corfu, Parga or Syvota. Astypalaia: Astypalaia or Astypalea is the butterfly of the Aegean! It is the ideal island for newly married couples…the scenery is totally romantic; the island does not get very crowded and walking at one of the most beautiful Chora is an unforgettable experience. Where to find Tips for the Greek Islands? Ferryhopper team is expert at selling ferry tickets! But when it comes to great tips in general we use our personal experience and this very cool site. In Tiplr you can find all great tips for the Greek islands and for many more destinations. You can also find our tips for ferry travels around Greece! Where to find Ferry Itineraries for the Greek islands? 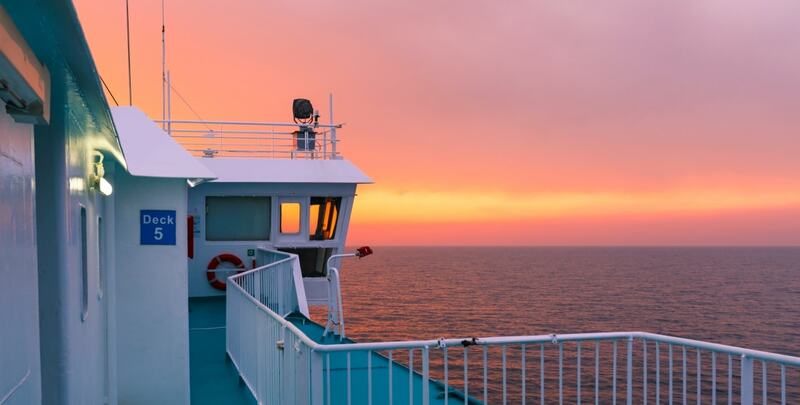 You can find ferry itineraries and connections between the greek ports at our page Ferry Routes. How do I book ferry tickets for the Greek Islands? In Ferryhopper we specialize in providing you with all the available ferry itineraries and show you the best prices for your ferry tickets. You can find the most up-to-date ferry schedules and directly book your ferry tickets for the Greek Islands using our innovative ferry booking engine!